Before boarding the party bus to Baja this past weekend (lots more details to come), I stopped by Mr. Baguette to grab a banh mi for the road. We wouldn’t be arriving in Tijuana until sometime past eleven, so a solid dinner was definitely in order. Mr. Baguette follows a similar business philosophy to Lee’s Sandwiches. 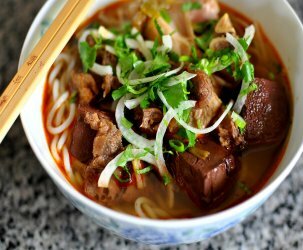 The space is sanitized and well-lit, orders are efficiently punched into a computer, and the menu is free of pesky and confusing Vietnamese. As a result, the crowd is diverse enough to make the Swarthmore admissions office proud. 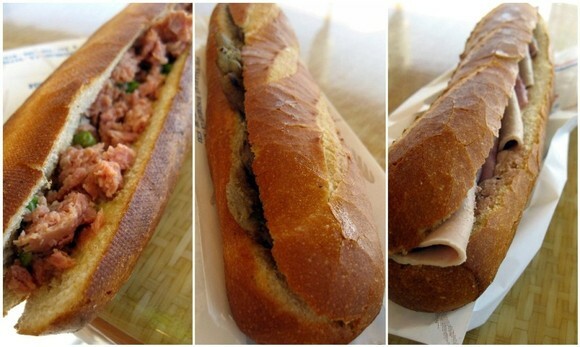 What sets Mr. Baguette apart from the local banh mi crowd is their devotion to baking authentic French baguettes. While The Astronomer and I were waiting for our sandwiches to be prepared, we perused the formal-looking letters that lined the shop’s wall. They appeared to be from the office of the French consulate praising Mr. Baguette for its impeccable bread. Impressive? Oui! 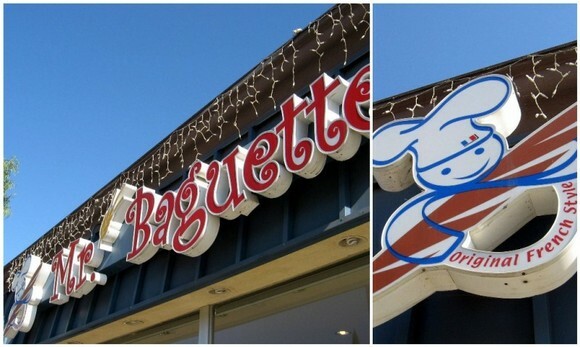 As a result of its superior loaves, Mr. Baguette charges a dollar more than competitors. Even though the menu only contained English, I stubbornly ordered in Vietnamese so that I knew exactly what I was getting. My “Special” banh mi ($3.35) was slathered with even coats of mayonnaise and pate, and contained two varieties of cold cuts—cha (pork forcemeat) and head cheese. The requisite pickled vegetables and jalapeños were served in a baggie on the side; there were no cucumbers or cilantro to speak of. The ratio of bread to filling was just my style. Mr. Baguette really does produce a lovely loaf. It was crisp, sturdy, well-portioned, and very fresh. Whether or not it merits an extra dollar is in the eye of the eater. For me, it was worth the splurge. The Astronomer really liked his “Grilled Pork” and “Meatball” sandwiches as well. 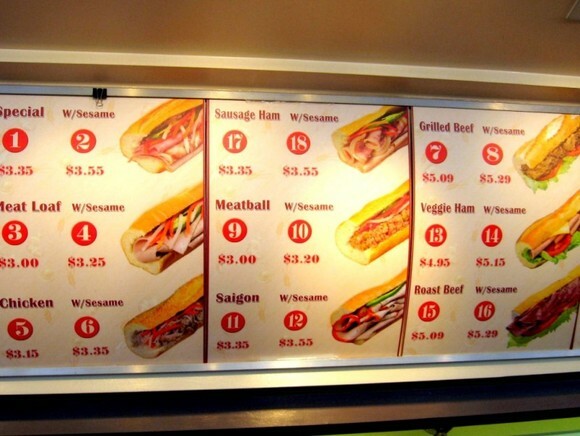 He proclaimed Mr. Baguette “up there” with our favorite banh mi shops. I agree. those prices are outta control. why can’t we have banh mi in weho? i guess we have absolutely phobulous… boo. Ah, see this is where we differ. My dad loves Mr.Baguette but I always feel a pang when I see it on the dining table. The bread is just too crispy, long and skinny for me (I know, like a baguette) because I love the copious insides of bread. Sook – You’d be surprised how far a dollar goes in the SGV 😉 It looks like you’ll have to wait for the Nom Nom truck for WeHo banh mi! Sharon – I like my baguettes the way I like my boys—tall, skinny, and not full of fluff! 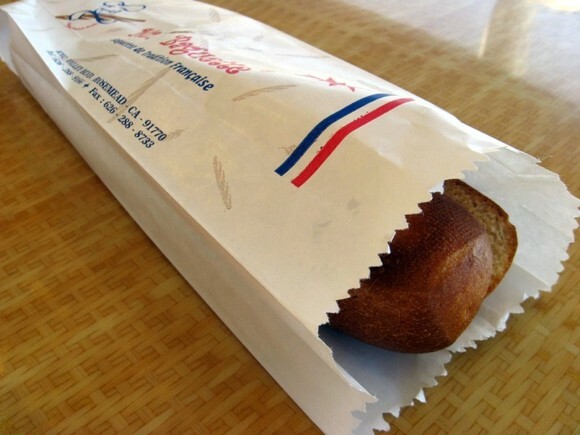 Just wondering…how do you guys compare mr.baguette to A Chau in San Diego. 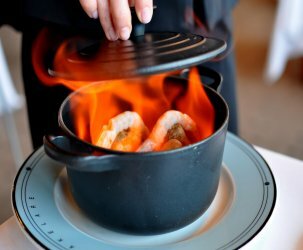 Dinh – Ambiance-wise, I like A Chau in SD better because it’s an indie chain. Mr. Baguette makes a great banh mi, but it’s a little too clean and efficient for my taste 😉 Taste-wise, I’d vote for A Chau too. 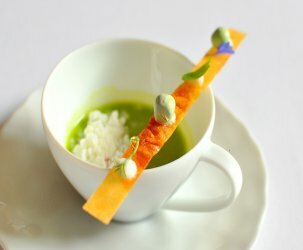 Thanks Gastronomer! I will try A Chau next week! Love your site, and keep up the good work!